Mumbai-based L Fast Brands Pvt Ltd, which owns Weddingz.in, an online marketplace for wedding venues and vendors, has raised over $1 million (around Rs 6.7 crore) in angel funding from a group of investors, including Google India's managing director Rajan Anandan. The other investors include film makers Zoya Akhtar, Reema Kagati and Ruchi Narain, Indian designer Ritu Kumar's son Amrish Kumar, and Ambit Private Wealth CEO Hrishikesh Parandekar. Ambit Private Wealth helped the eight-month-old wedding venue/vendor aggregator to raise this angel investment. "The money will be used for automation, marketing, expanding operations to more cities, and expanding the user base," said Sandeep Lodha, founder and CEO, Weddingz.in. Weddingz.in, which launched its operations in Mumbai first, now has a presence in 10 cities, including Delhi, Bangalore, and Goa. It expects to extend its reach to 20 cities, including Kolkata, Chennai and Hyderabad, by the end of 2016. "We are targetting over 1000 venue bookings a month over a period of 12 months and expect to see 50 per cent of weddings in urban areas being planned on our platform in the next 3-4 years," Lodha told VCCircle. The startup claims to have made more than 100 venue bookings in November. It claims it has witnessed 50-55 per cent growth in revenue along with 60 per cent growth in its user base, month-on-month. "Weddingz.in is already No.1 in the multi-billion dollar wedding market in terms of number of bookings," Lodha said. "We are focussing on making the wedding industry more organised and transparent in its dealings." Siddharth Rastogi from Ambit, who closed this deal for Weddingz.in, said, "We believe Weddingz.in is a unique wedding technology venture in the highly fragmented marketplace. This is the first transaction-based wedding e-commerce venture in the country. We see great value." The $40-billion wedding industry market is highly fragmented and the entry of startups who are bringing the numerous vendors â€“ apparel designers, decorators, catering services, wedding planners, venue owners, florists, etc., â€“ onto one platform has resulted in investors also evincing interest. Media firm New Delhi Television Ltd (NDTV) this month launched its online wedding and festival planning venture named Special Occasions Ltd, which got funding from US-based CerraCapital Ventures. 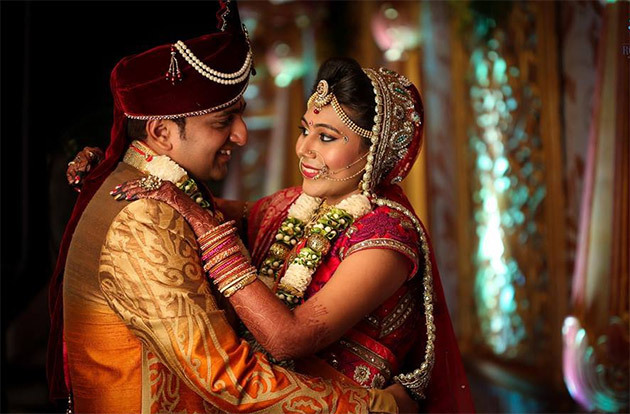 In September this year, WedMeGood, a wedding planning portal that connects prospective couples with over 3,000 vendors, secured Rs 2.7 crore in seed funding from Indian Angel Network. Others in the Indian online wedding planning space include WeddingPlz, WedMeGood and PlanningWale.